The latest health breakthroughs will be on display next month at the annual Birmingham Health Partners Research Showcase, to be held in the Queen Elizabeth Hospital Birmingham’s (QEHB) atrium. Exciting developments in the last year include the opening of a world-leading conflict wound centre, which is aiming to prevent all scars within a generation; a trial that has cured a UHB patient with a rare condition; and other advances in cancer treatment, concussion diagnosis, and cardiology. 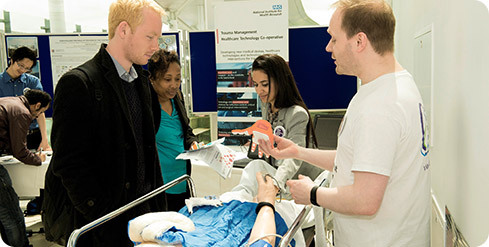 The 2019 Showcase, which will take place between 10 and 3 on May 17, is part of the National Institute for Health Research’s (NIHR) ‘Be Part of Research’ campaign, marking International Clinical Trials Day, and will highlight how Birmingham is leading the way with innovations that are changing and saving patient lives. The theme of this year’s showcase is ‘Head to Toe’, highlighting the sheer diversity of research in Birmingham which covers everything from brain tumours and mental health, through every bodily system right down to the diabetic foot. All outpatients can express their interest in clinical research to their consultant or clinical teams. In the last year, over 14,000 UHB patients took part in hundreds of studies, with BWC having the second highest number of participants in the West Midlands. 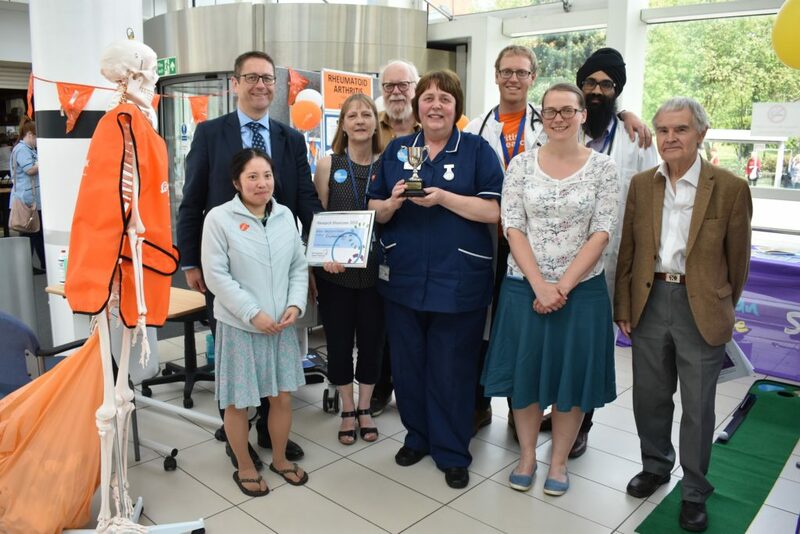 The winners of the 2018 ‘Best Overall Exhibit’ winners, as chosen by patient representatives – congratulations to the rheumatology team! Joanna Gray, Clinical Manager of the NIHR Clinical Research Facility at QEHB, said: “Clinical research across the country is crucial in helping to change lives, and to help us all become healthier. The Research Showcase is always a brilliant opportunity to share what is often behind-the-scenes work with the public in an engaging, fun and accessible way. “It is always important to let patients, visitors and our colleagues across the site see what we do, and let them know how they can get involved to help clinical research move forward to change lives for the better. More than 15 exhibits will be on show, highlighting the latest developments in the treatment of cardiology, sexual health, strokes, infections and more. Previous Previous post: Can seated exercise improve the health of frail older adults?